Grand Rapids, Michigan, is perhaps best known as a craft-beer lover’s destination, but take it from this local that our food scene is reason for visiting, too. 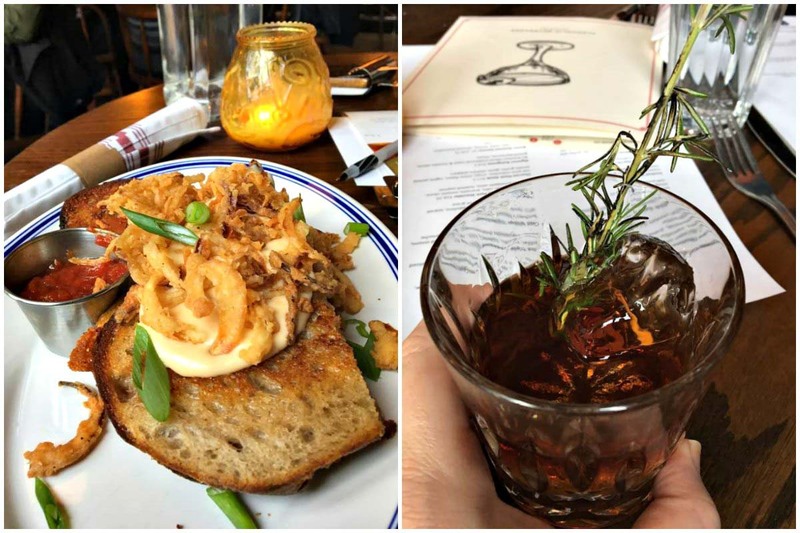 Having lived four years in downtown Grand Rapids, I’m more than overdue to share a few of my favorite foodie spots around my West Michigan city. Let me tell you, it was pretty darn difficult to narrow this list down to only five eateries. Two of the restaurants on this list didn’t even exist when I moved here, and so many restaurants have opened in the past year I can’t even keep up. You may also be surprised to find that not a single brewery is on this list. Don’t get me wrong — our breweries serve delicious food, but I think this list proves that my city’s food scene has come into its own. One of the two restaurants on this list to have opened within the past couple years, Luna combines Mexican cuisine with local West Michigan ingredients and flavors in a hip downtown restaurant. After hearing from a few friends that the margaritas were fantastic, my boyfriend and I dined here for a date night last winter. A busy spot on a Saturday night, we started at the bar with a pitcher of sangria to share. 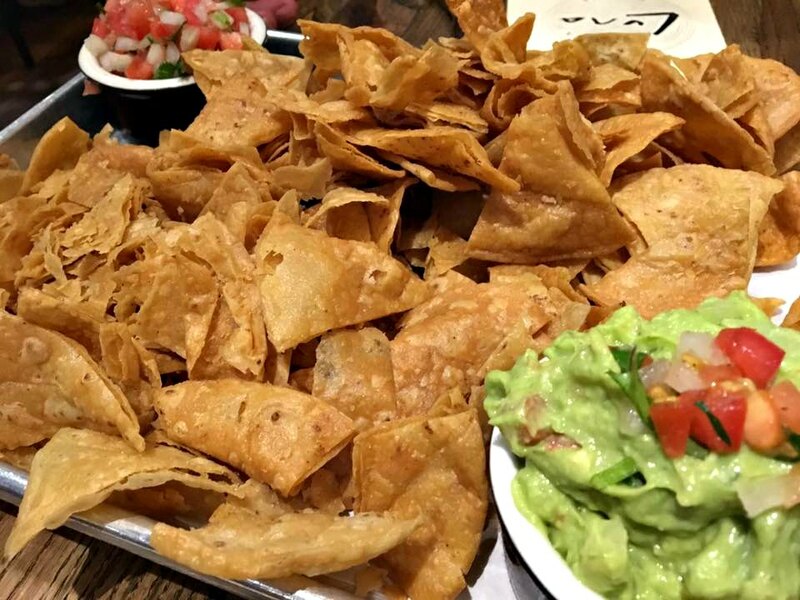 Once we were seated, we dove into this tray of crispy tortilla chips with fresh guacamole and a couple orders of tacos. We loved Luna so much I’m surprised we haven’t been back since, but I’m sure we will dine here again soon. There are three main reasons why I love dining at Ramona’s Table. First of all, the patio at Ramona’s Table is the perfect spot to sip a cocktail or dine with friends on a beautiful summer day. You’ll have a view of the Rogue River and plenty of people watching as cyclists and walkers pass by on the White Pine Trail in downtown Rockford. 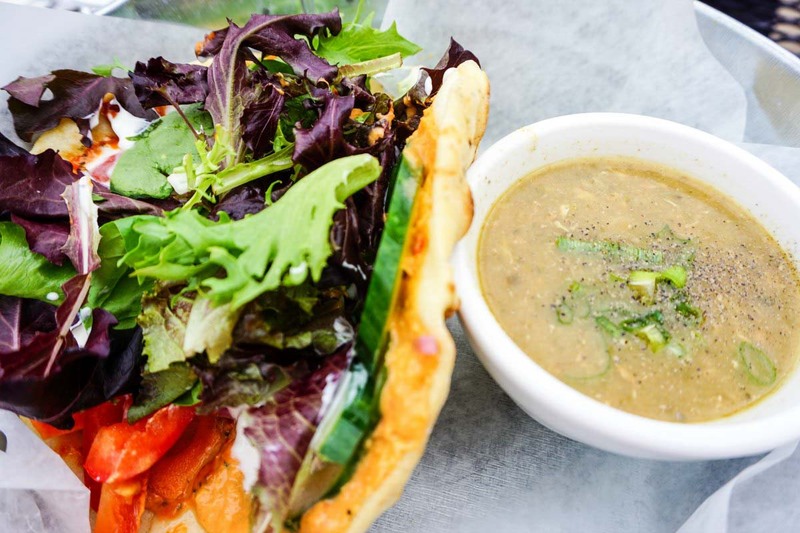 Secondly, the menu is full of delicious foods made fresh from local ingredients like the veggie-packed Naan Ya Business sandwich pictured above. 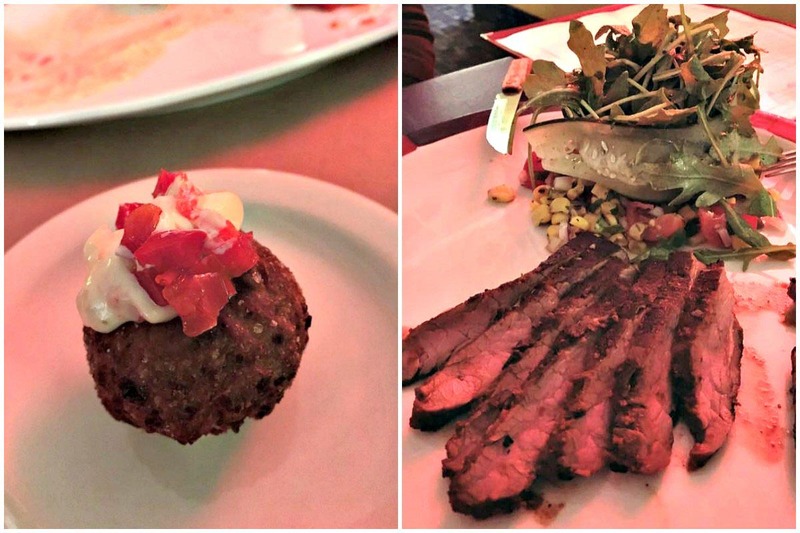 I also highly recommend the peach salad (usually available during summer) and the smoked meatloaf sliders. Third, the carrot cake. If you like carrot cake at all, this one is not to be missed. It’s rich and indulgent, and trust me, you need to try it. The summer before moving to Grand Rapids, my mom and I stopped for a glass of refreshing sangria and tapas at this downtown Spanish bistro, and it has been one of my favorite local eateries ever since. Among the many delicious tapas I’ve tried at San Chez, a few of my favorites are the blue cheese fritters topped with red pepper aioli (pictured above), fried plantains with avocado relish, and spicy fire-roasted shrimp. I love that San Chez offers such a wide variety of tapas, including vegan and vegetarian options. In addition to tapas, San Chez serves paella and is open daily for breakfast and lunch. If you go to brunch here, the breakfast empanadas are delicious on the savory side, and the cinnamon French toast is perfect for morning sweet-tooth cravings. I judge Italian restaurants by their gnocchi, and at Amore, Chef Jenna Arcidiacono’s gnocchi just melts in your mouth. Plus, it’s available in four different sauces including the creamy vodka sauce pictured above. Last March, I celebrated my 31st birthday here with a group of good friends and four courses of delicious food. The arancini is a tasty way to start a meal at Amore, and even though I’m not a lasagna fan, I couldn’t rave enough about the lasagna soup. 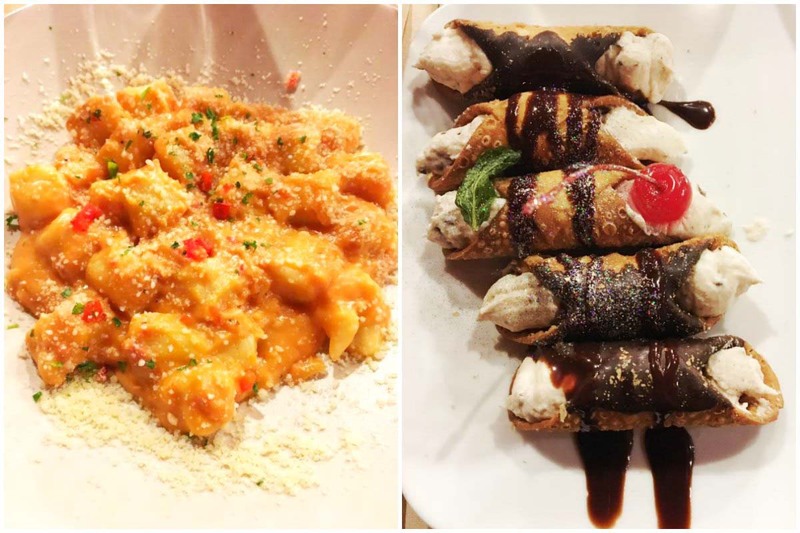 It’s so easy to spend several hours conversing, eating, and drinking at this homestyle Italian trattoria just north of Grand Rapids in Comstock Park. With food this tasty, you might not want to leave! Located in the city’s hip West Side neighborhood, Butcher’s Union has quickly become a local favorite of mine and pretty much everyone I know. This modern gastropub takes meat and whiskey seriously, and that is certainly evident on its meat-heavy menu and list of 200+ whiskeys. But, I’m a big fan of two of its sandwiches — the triple grilled cheese and the B.B.E.L.T., which is why I named Butcher’s Union one of my top 10 brunches of 2017. I can’t wait for spring to arrive so I can brunch on the patio and partake in the Bloody Mary bar. More Local Restaurant Advice Coming Soon! If you liked this post, you are going to love what I have in store. In the coming months, I’ll be sharing more Grand Rapids dining guides. I’d love to hear which kinds of restaurants and foods you’d like for me try around town in the “name of research,” and then I’ll share my findings here on the blog and across my social media channels. 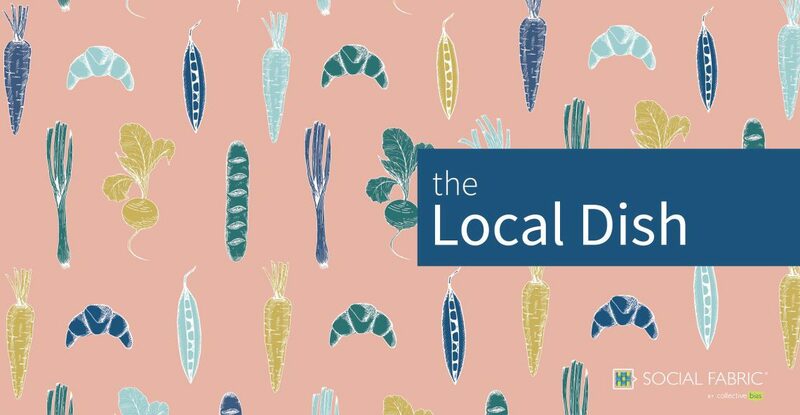 This post was published in collaboration with Social Fabric, and you can check out all the dining guides like this one written by other bloggers about their favorite restaurants in their local area. You can also download this article for easy referencing when you visit Grand Rapids! 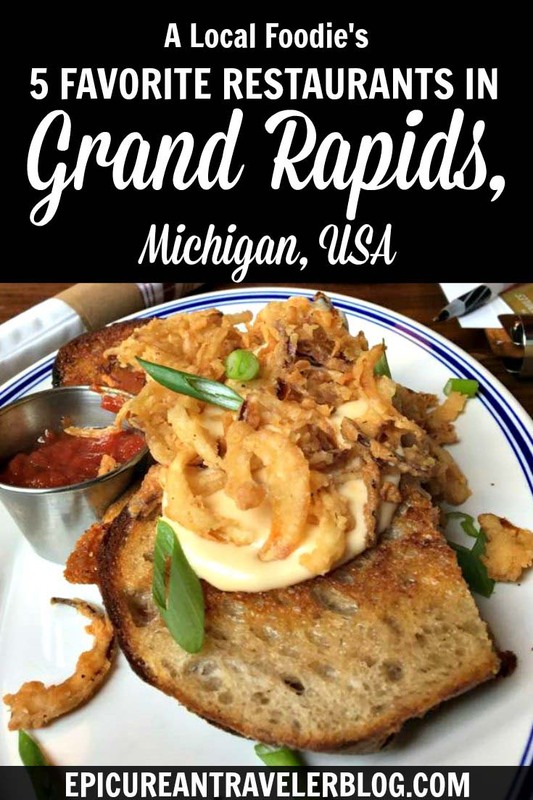 Save this dining guide to your Grand Rapids, Michigan, or USA travel boards on Pinterest for future reference! At which of these Grand Rapids restaurants would you like to dine? This is making me so hungry! Will definitely keep this in mind when we visit Grand Rapids in the future. Thanks for the suggestions! This Post had me at Nachos. They look so good. Thanks for all of the great recommendations, I pinned it so I can refer back if I visit Grand Rapids someday. I’ve never been to Grand Rapids and didn’t even know it was known for it’s breweries – but I love the idea of a local dining guide. May have to do this for my city! So glad you’re going to do a series of Grand Rapids restaurant guides! I’m visiting for the first time this summer. My request would be to share foodie spots that also happen to be family-friendly, like with a kids menu that goes beyond the standard chicken fingers or mac and cheese. Great idea, Kim! I’ll make it my mission to check out kids’ menus and the overall family-friendliness of our local eateries. 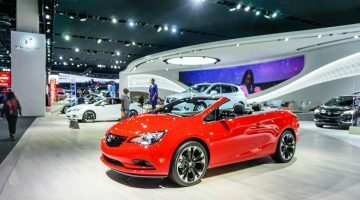 As your trip to Grand Rapids approaches, I’d be happy to answer any questions you have about the city, where to eat, and what to do.